I have always been in love with the amazing rainbow of colors found in the exotic foliage here on Kauai. This colorful croton plant would be a great addition to anyone's tropical or Hawaii decor! 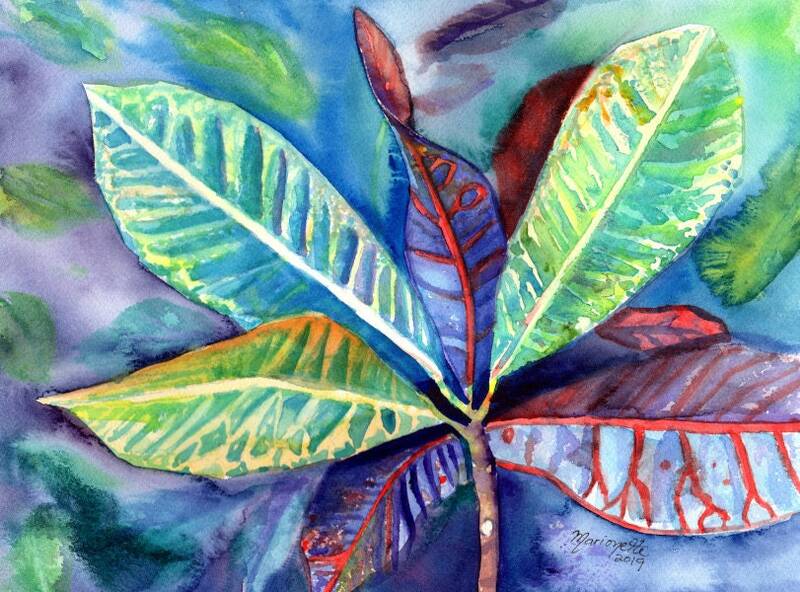 "Kauai Croton Leaves 8" is an original watercolor painting measuring approximately 9"x12" and comes with a signed "Certificate of Authenticity."